splendidly less-sleep deprived for this week's edition of takes! Easily the highlight of my week was that the SFLI headquarters office now has a coffee machine. wootwoot! I didn't buy Espresso one time this week and although I have recently acquired an aversion to Folgers, buying grounds is significantly cheaper than my $4.50 large frosted pumpkin mocha. Another highlight of my week was Halloween...I actually forgot several times that it was Halloween, but finally living in a house again where we had TRICK OR TREATERS!!!! was super exciting. My favorite munchkin was this tiny lion who tried to come into our house...she was maybe 2 and I had to restrain myself from telling her dad that if they ever need a babysitter, they know where to come. On the topic of Halloween, what is with kids dressing up as bloody people? I don't get it. And I don't think it's because I'm Catholic and think that miniature St. Francises and Mother Theresas are freaking awesome, but just because I don't think that it's necessary. Whatever. But, in case you were wondering, yes I was that person who refused to give two kids candy because they were dressed up as "myself" and "guy in white". Nice try. Maybe next year I'll take that for a spin but instead be "tipsy-23-year-old-begging-for-free-candy". I'm still upset about the Jemily breakup. So much so that I stopped following Emily on Insta. One extra hour of sleep this weekend. That's what I've been looking forward to since we "sprung forward" all those months ago. Any thoughts on the whole Disney-buying-Star-Wars? I'm not a trekkie or starry or whatever they're called, but I do enjoy SW and have enjoyed the banter between concerned fanatics. That's so funny that you told them no candy when they weren't dressed up! I don't have the guts. The bloody people and scary costumes make me nuts. That's why I've always hated Halloween. #16!! Not too shabby, my friend :) And I'm very jealous you actually got trick-or-treaters! 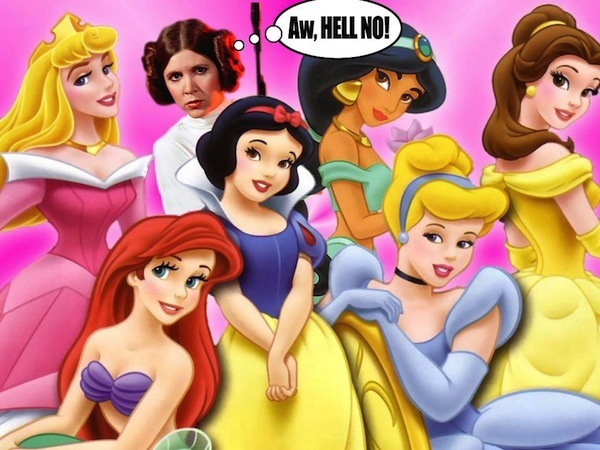 I agree that Leia and the rest do not fit in at Disney! I'm not a diehard when it comes to SW, but I do like the original 3.
music critic, reporting for duty.